We bring the neighborhood pharmacy feel to long-term care. We’re passionate about improving lives. 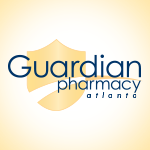 At Guardian Pharmacy of Atlanta, we take great pride in providing the best in customer service. Our business philosophy is to partner with you to provide enhanced pharmacy care for your patients and residents. By thoughtfully listening to our customers, we strive to develop innovative and collaborative solutions. Our goal is to improve lives every single day. We are passionate about providing excellent service so that each and every consumer gets get the medicine they need on time and at the best price possible. We work hard to improve the lives of the nurses and administrators that we serve — by making sure our interactions with them are consistently friendly, accurate, and timely. We are more than happy to work directly with family members when they have questions about medications, costs, or insurance coverage for their loved one. We provide thorough and consistent training for our staff on the latest technology and pharmaceutical issues. All of these elements roll up to that one goal — improving all the lives we touch. In February 2019, The Centers for Disease Control and Prevention’s National Center for Health Statistics released a report that assessed the long-term care service needs of 28,900 residents* in assisted living or similar residential care environments.